Dr. Yoaris Ramos-Collazo is passionate about helping people overcome their dental anxieties by providing truly painless care. An attentive, supportive dentist, she works closely with each patient to learn their care goals, and then develops treatment plans that provide the strongest smile results. For Dr. Ramos-Collazo, a healthy and happy smile from a patient, and their thanks for a pain-free visit, makes her day. Dr. Ramos-Collazo was awarded her Doctorate of Dental Medicine by the University of Pennsylvania. Committed to constantly expanding her knowledge and skills, she actively seeks out continuing dental education. 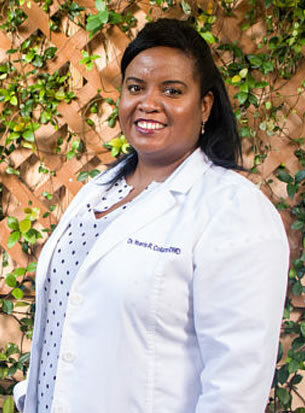 By staying up-to-date with the latest treatments and newest technology, she ensures her patients receive the best care available. Dr. Ramos-Collazo maintains active memberships in the American Dental Association, Florida Dental Association, and South Florida Dental Association. By attending lectures, seminars, and meetings, she learns from leaders in the profession and brings that knowledge back to the practice. A native of Matanza, Cuba, Dr. Ramos-Collazo has called Miami Springs her home since 2014. Her parents still live in Cuba. Outside of work and caring for her patients, Dr. Ramos-Collazo’s favorite times are those spent with friends. She’s also an avid traveler and enjoys exploring the United States. Here's what our patients have to say about Dr. Collazo!